We’re fortunate at Reward Gateway to have been inspired and led by some incredible thinkers in employee engagement, company culture, and leadership. Our new series, “Lighting the Spark,” features one of these amazing thinkers every month. This month, we chat about two: E.B. White and William Strunk. Ever since I was little, I loved to write. I passed out a newsletter in the fourth grade called “My Made Up World” and charged a quarter for it, I wrote an (arguably) epic “novella” in middle school about the tricky pre-teen world of dating and I made my way from there to the more reputable written words of journalism and magazine writing, and eventually, over to marketing. There are few industries where you won’t find yourself writing on occasion. As the content marketing manager for Reward Gateway, I write probably more than most in the company, but human resources professionals are writers, too. You might not think that, but as HR professionals, it’s your job to tell the story of the company and keep your employees following it. “The Elements of Style” is a short read at a mere 52 pages, but really, it’s something that you’ll find yourself coming back to time and time again. I particularly like the sections on words and expressions commonly misused (if you’ve ever mixed up “affect” and “effect,” I suggest dog-earing the chapter!). 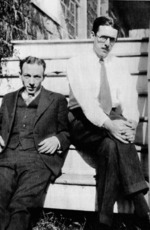 The authors, William Strunk Jr. and E.B. White, are a teacher-student pair from Cornell University, a U.S. Ivy League college. Consider the book your guide to some of the more technical issues of writing. And as writers (no matter what your title really is) it’s important to realize that with every word you write, your audience is taking notes. Your written word is your credibility. What does that mean? Compel, don’t sell. In today’s world, people know when they’re being sold something, and the same goes for your employees. Don’t sugarcoat an important company update that impacts dozens by skating over the facts. Be open and transparent with your people, and they’ll support your decisions that much more. “Vigorous writing is concise. A sentence should contain no unnecessary words, a paragraph no unnecessary sentences, for the same reason that a drawing should have no unnecessary lines and a machine no unnecessary parts. This requires not that the writer make all his sentences short, or that he avoid all detail and treat his subjects only in outline, but that he make every word tell. 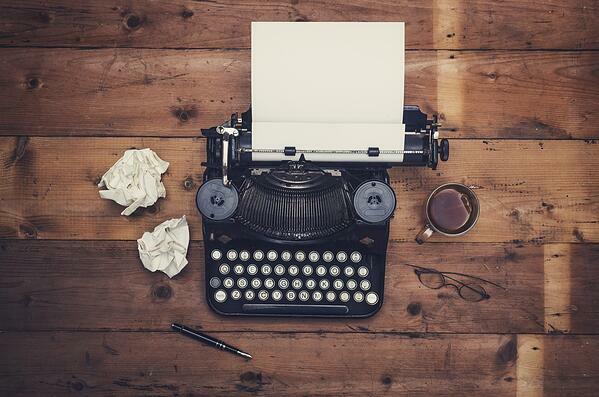 If you’re not used to writing, try to challenge yourself. Take a notebook with you on your morning commute on the train or bus and jot down what you see, what’s on your mind. Scribbling in a notebook counts, I promise. Write something. Write anything. But above all: Write well.